We are based in the San Francisco Bay Area. Our Trailer Manufacturers are located Southern California, Washington State, Missouri, Florida and Alabama. We can build our trailers from 8ft to 56ft long depending on location. In California and Missouri, the max length available for a bumper pull is 34ft long, for a gooseneck it is 40ft long which includes the 32ft lower deck + 8ft upper deck on gooseneck hitch, Max width available in California is 102” wide. In Washington, The max length available is 34ft in a bumper pull style trailer only, no goosenecks available in Washington state. In Alabama, the max length for a bumper pull trailer is 45ft long, the max length for a gooseneck is 56ft long which includes a 48ft lower deck and a 8ft upper deck on the gooseneck hitch. The max available width in Alabama is 11ft wide. What makes Tiny House Basics’ Trailers different? This question is best answered with a short introduction. Behind Tiny House Basics and Trailers are us, well, Joshua and Shelley, that is, and we are tiny house people with an extensive background in tiny house trailers and tiny houses. We design and sell the #1 Tiny House Trailers available from manufacturers that have been building high quality trailers for over 36 years. As tiny house people ourselves our number one goal is to help others with the goal of going tiny and to simplify that process and save you money by buying direct from the manufacturer. Due to the fact we have no sales lot or dealers we can offer 2017 and 2018 Tiny House Trailers at true manufacturer direct pricing. Each trailer is custom built just the way you want it. We will never try to sell you whats “in stock”. Again, each trailer is built just for the customer. Since we have built and live in a tiny house built on one of our own Tiny House Trailers, we can offer insight and knowledge on what is most important in your tiny house trailer foundation and show you the practical options you may need to make your build successful on the best tiny house trailers on the market. We will guide you throughout the whole process to design the best Tiny House Trailer to fit your needs. On top of all that our trailers are on average $1000 cheaper than the competition. Like many of our customers are, we are “in it” for the long haul. The tiny house lifestyle is a lifestyle choice we chose in order to simplify our lives. What we are offering is the exact same route we went when building our tiny house. We thoroughly researched every option for trailers out there and I even posed the question to every owner behind every company: “Have you ever stayed the night in a Tiny House?” and the answer shocked me. It was NO! How could they know what we needed if they never took a step in our shoes? That is why we carved our own way. We teamed up with tried and true manufacturers that have been building for over 36 years to design our tiny house trailers and then we built our very own tiny house on one of them. Every night we rest our heads under the roof of our tiny house and with all the insight we have learned throughout the almost 3 years we have been living in our tiny house we pass that along to our people, our Tiny House people. 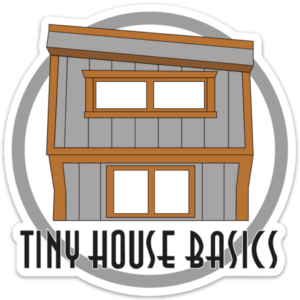 That is the whole goal for us at Tiny House Basics to simplify the process of going tiny, not complicate it. A custom tiny house trailer will also have all the structural integrity for a tiny house with out the unneeded weight that will come with a standard utility trailer or car hauler and it will be ready to build on right away with no further modifications needed. All of our Tiny House Trailers will also have heavy duty cross-members for a rigid and structurally sound foundation. We will never skimp on framing members to save cost or integrity in the frame. Do you have any in-stock trailers? All of our trailers are custom built just for you and your tiny house build. Since no two tiny houses are alike, the trailers built for them are also unique so we do not have in models prebuilt. All our Tiny house trailers are build to order, just for you and you ideal build, in the ideal width, with your ideal features and specifications. We will never try to just sell you a trailer that’s “on the lot” get your tiny house trailer tailored just for you. How do I order a tiny house trailer from Tiny House Basics? How much do I need to pay upfront to order my trailer? Since your trailer is made custom just for you, we require a deposit when you place your order. We accept checks, credit or debit cards. There are no fees for any of these payment methods on the first deposit paid. After the deposit, there is a 2% fee on credit cards and debit card transactions. Deposit amount as follows: California: 50%, Alabama $1000, Washington $1000 ($2000 on 10ft wide models), Missouri $2000. The balance is due when you pick up or prior to delivery. Do you offer financing for your tiny house trailers? We do not offer any in house financing for our trailers. However many of our customers use www.financemytrailer.com with great success. Can I customize my trailer to my needs? Since our trailers are custom build for you, you can customize it to your needs. We have lots of different options available including different deck widths, oversized models, drop axles, deck overs and Gooseneck or 5th wheel style trailers with 8ft or 10ft long deck on the matching length gooseneck/5th wheel hitch. If your needs extend beyond what is listed on our website, please contact us to let us know what you want. More than likely, we can make whatever you need. Can I import a tiny house trailer into Canada? Yes, Many of our customers are from our neighbors up north, please see this article written by a customer on his experience of importing a tiny house trailer into Canada. What are the components included on a tiny house trailer? The safety chains act as a second line of defense against the trailer separating from the tow vehicle, in the event the coupler or hitch fails. These chains are rated for the max capacity that the trailer is rated for. This is a safety device powered by a battery that will actuate the brakes in the emergency event that the chains or coupler fails and the trailer disconnects from the tow vehicle. It will lock the brakes. Not recommend to be used as a “parking brake” for the trailer since the battery will deplete overnight if the pin is unplugged. The tongue is a steal A-frame that connects the coupler to the main frame of the trailer. Often referred to as a Bumper pull style trailer. This style hitch replaced the “triangle” bumper pull hitch and adds a 8ft Gooseneck or 5th Wheel style hitch to the trailer. When requesting a quote, choose the deck length for the bottom deck and we will add the 8ft gooseneck / 5th wheel hitch in addition to the lower deck length. These are intended to shield the water and road debris from splashing up the sides of the tiny house. These are not structural, They are not intended to carry the load of your house, you will need to build a header over the fenders if your design extends over them. The tail lights serve the same function as the tail lights on your vehicle, They signal to the vehicles behind you of stopping, turning intentions or general awareness when the headlights are on. After your house is complete, your vehicles tail lights will not be visible. This is the secondary frame on a deckover trailer that is composed of the deck for which the house is built. The deckover style trailer provides a flat surface over the wheels for which to build on. The standard height of a deckover is approximately 33” above grade. This height of trailer is ideal for single level tiny houses with no lofts. 16” rims are provided on all trailers 12k Gross vehicle weight rating and above. 15” rims are provided on 10k Gross vehicle weight rating and below. Style of tire varies from our different manufacturing locations based on gross vehicle weight rating and trailer size, details will be provided on every trailer order, please contact us for more info on your trailer. The cross members provide rigid support to the trailer frame, for information on the popular option of flush cross-members, please navigate to this page. The tongue jack is used to lift the trailer on and off of the tow vehicle when moving. It can also be really helpful when leveling the house. Drop leg jacks are also available to speed up the connecting and disconnecting process. The coupler is a standard 2-5/16” ball coupler. What axle capacity should I get? Axle capacity of Gross Vehicle Weight Rating (GVWR) of the trailer should exceed the anticipated weight of your finished tiny house. As a general rule of thumb, a Finished tiny house weighs on average 500 to 550 lbs per linear foot of trailer length. So a finished 24ft Tiny House will average about 12,000lbs to 13,200lbs including the weight of the trailer. So the ideal trailer you buy should have a capacity that exceeds that estimation. Keep in mind, the finished weight of a tiny house varies greatly by design so you finished tiny house may be lighter or heavier than that estimate so plan accordingly. It is always better to buy more trailer than you need rather than less. Our Axles capacities come in 3500lbs, 5200lbs, 6000lbs and 7000lbs. The axles will always come in pairs, for a 7k Gross Vehicle Weight Rating tiny house trailer it will consist of (2) 3500lbs axles. a 10k Gross Vehicle Weight Rating tiny house trailer will consist of (2) 5200lbs axles. A 12k Gross Vehicle Weight Rating tiny house trailer will consist of (2) 6000lbs axles. a 14k Gross Vehicle Weight Rating tiny house trailer will consist of (2) 7000lbs axles. A 15k Gross Vehicle Weight Rating Triple Axle tiny house trailer will consist of (3) 5200lbs axles. A 18k Gross Vehicle Weight Rating Triple Axle tiny house trailer will consist of (3) 6000lbs axles. a 21k Gross Vehicle Weight Rating Triple Axle tiny house trailer will consist of (3) 7000lbs axles. How do I know which trailer length is right for me? When choosing the length of your trailer there are a few things you should take into consideration. In most places, if you wish to travel with no need for a permit, your tiny house can be no larger than 8.5 feet wide and 13.5 feet tall. With those size constraints in mind, the only variable for size in the length of the trailer you will be building on. This is where you will need to consider what length of trailer will fit your needs the best and if you plan on traveling often or do you plan on staying put. For us, our 28ft Tiny House was never meant to be traveled with. We travel BECAUSE of our tiny house. So it stays put for longer periods of time while we go travel. You may be inclined to pick the largest size so you don’t have to worry about not having enough space but, you will also need to consider movability. As your tiny house size increases, so too does the challenge of moving it. The larger the tiny house, the larger the tow vehicle required to move it. Also finding a larger area for which it may be a challenge. The most popular size tiny house trailer we build is the 28ft triple axle, from there the next size is the 30ft. Now everyone’s needs are different so you will need to think about what you really need in the space and what size tiny house trailer will check all those boxes for your needs. For our customers who choose to travel often with their tiny houses, they usually choose gooseneck/5th wheel style tiny house trailers or length of around 24ft to 26ft in length for a bumper pull style trailer. For many of our trailers, you have a choice when it comes to the axles. These choices can include ‘drop axles’ and straight beam axles. The maximum width of a trailer than can be on the road without permits is 8ft 6in wide (102”) not including the tires. Any size over the 102” width will require a permit from each state the tiny house is traveling through. These permits can range in price from $14 to $50 per day and some states even offer “Annual Passes” for transporting a larger than 102” wide trailer. When a trailer exceeds 10ft in width there is some added restrictions depending on the state and it is best to check your local state’s Department of Transportation for details. We build our deck widths on our tiny house trailers in widths from 90” to 102” wide. You can choose any width in that range. Many people who do not plan to move their tiny house often choose the max standard width of 102” wide for their deck, with siding and trim this will make the finished width over the 102” allowable for travel on public roads without a permit. If you plan to travel often or want to make sure your finished tiny house is under the allowable width, we recommend choosing a deck width of 99” or below, this will give you ample room for sheathing, siding and trim to remain under the 102” width required for travel on public roads. In addition to our Extra Wide Tiny House Trailers, we do offer oversized 10ft wide models. These trailers are only available from our Washington and Alabama locations. The lead time on these trailers is a few weeks longer than our standard trailers due to the custom 120” special axles used for these tiny house trailers. To obtain a permit to move a 10ft wide trailer, you can purchase them through most states Department of Transportations website. Can I get my trailer delivered? Yes we offer great delivery options to all 50 states and Canada. We can get you a shipping quote based on your city and state. You pay all shipping fees direct to the shipper. If you live in Hawaii we can deliver to the shipping port of your choice, all reservations and cargo ship details would be handled by the customer. Can I pick up my trailer when it is built? Yes you can pick up your trailer at our factories in California, Washington, Missouri, Florida and Alabama when the trailer is finished. We have weekend pickup available in California but the trailer must be paid in full before close of business on the Wednesday prior. Do you offer digital drawings of your trailers? All of our builds are custom. We do not have “showroom” models or “in stock” models. Because of such we do not have drawings we can send. We also do not offer SketchUp or CAD drawings at this time. However, We can offer a trailer dimension layout for the most commonly requested dimensions based on the size trailer you are requesting.